You know that saying, third time's a charm? That’s how I feel after getting my hands on Jubei after so many years. 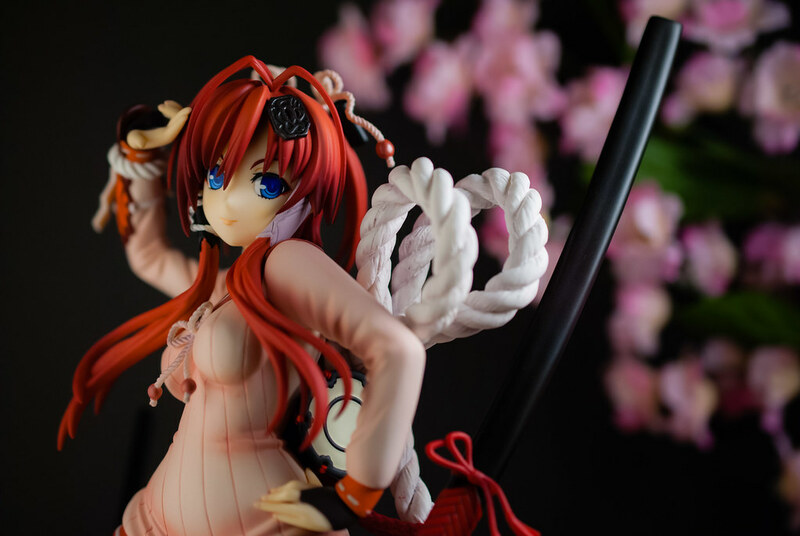 The first time I had no money to buy her, the second I hesitated too much and it sold out, that’s why this time I jumped at the chance to pre-order without a second thought. This let me with almost four years of suppressed desires to sit down and take pictures of her. With that said without much further ado I present to you the millionth look at Alter’s Yagyu Jubei from Hyakka Ryouran. 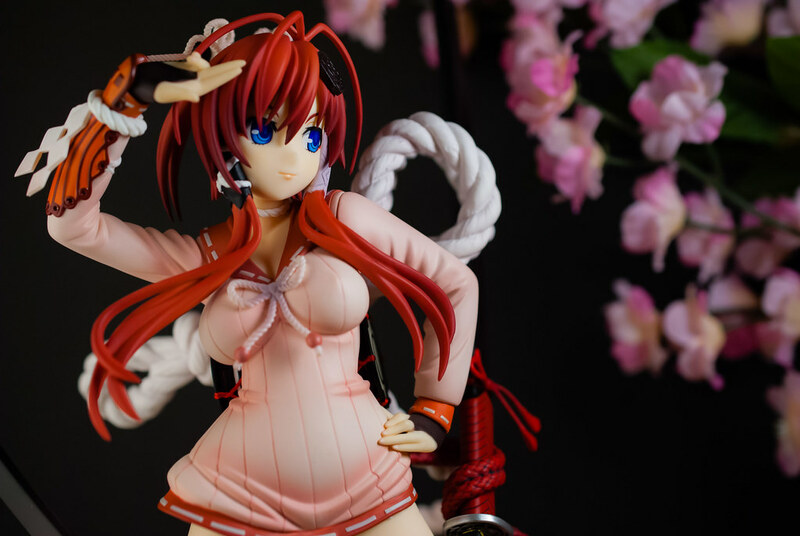 If you ben around the figure scene for the past three to four years you must have inevitably seen either this rendition off Jubei or the variety of offerings by other manufacturers. In particular this version by Alter has been one of those ubiquitous figures that everyone seems to own. Just look at the sheer number of user pictures on MFC and it’s ever present front page entry in the figure category. If you go on a trip down the memory lane and look at figures blog from around 2009 you will probably see various reviews of this figure, the same for the second re-release more or less. Quite simply a lot has been said about Jubei, a lot of pictures of her have been taken. This left me with a conundrum, did I have anything new to say, any new way to show her off in pictures? The answer in the end was no, not really. If you keep reading, you will probably end up hearing the same things about the figure everyone has been saying for years. I suppose I could complain about Alter’s endless delays this years but I suppose at this point all of that is moot. 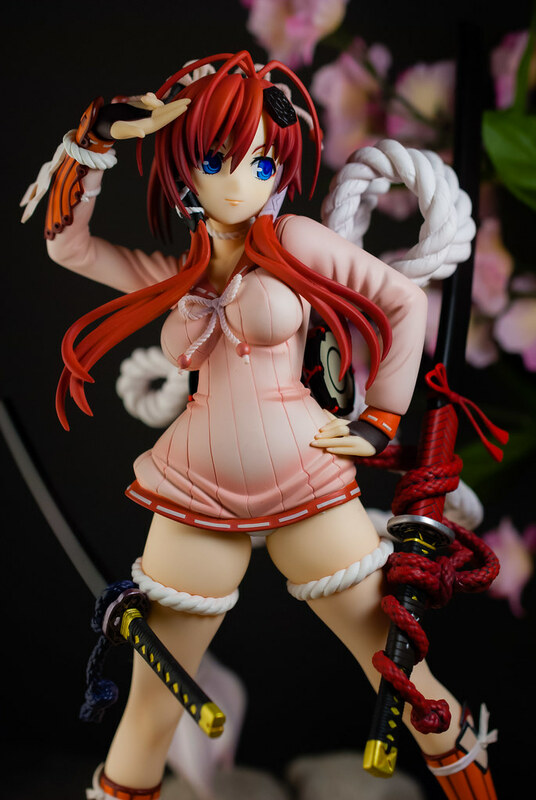 This is why at first I didn't actually thought to do a photo shoot when I ordered Jubei, I figured I would just order her and be happy to finally own her. 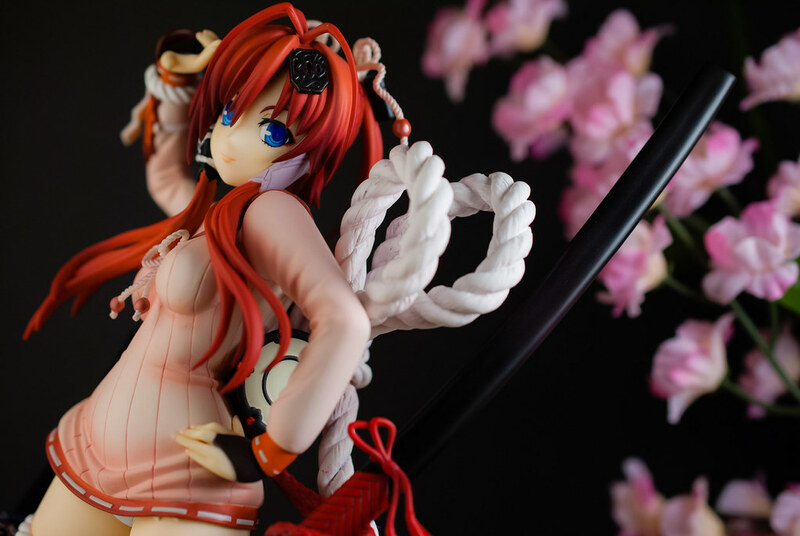 However, once I actually got the figure, once I saw her in person, that changed. It is a very nice figure, very easy to see why I find it so ubiquitous. So I thought, what the hell, who cares if I’m beating the dead horse and make a post about Jubei. 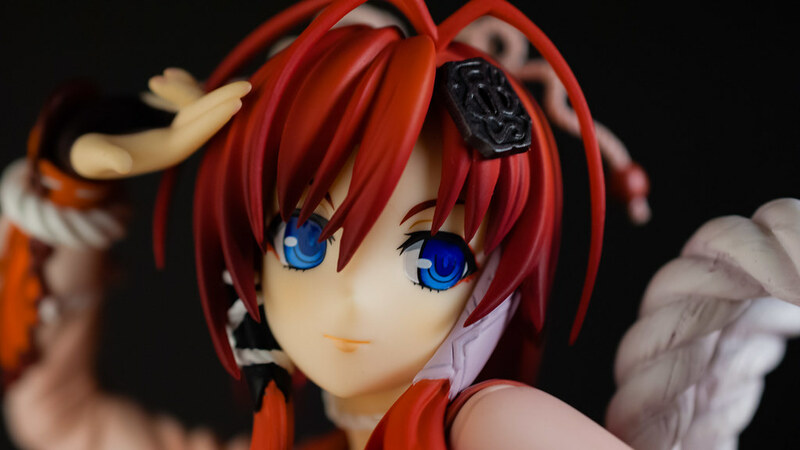 At the very least I felt more comfortable trying out a two point lighting setup which I hadn't done in forever. I might have mentioned it before but I have only one rule that I always abide to when buying figures. I must have either watched or played the media where a character originates before I buy a figure. Occasionally I cheat a bit and order a figure first and then go check out the source material. That is exactly what I did with this figure, after all at first it was only a line of figures which then got an anime. An anime where you had a genderbent version of one Japan’s most famous samurai, along with a slew of other historical figures, interesting visual style, and several popular seiyu such as Rie Kugimiya? Sounds pretty cool, right? Except that it really wasn't, not for me anyways. I mean, it has a lot of things I would normally like and yet for some reason it didn't click. I have tried watching the first episode several times and the beginning of the second but I can't seem to get past that. It is a fanservice show with historical figures as girls, I sat through shows with a similar premise but for some reason I never been able to with this one, I wonder why that is though. At least I can enjoy the figures side of it and seems to have been successful enough since there is a currently airing second. 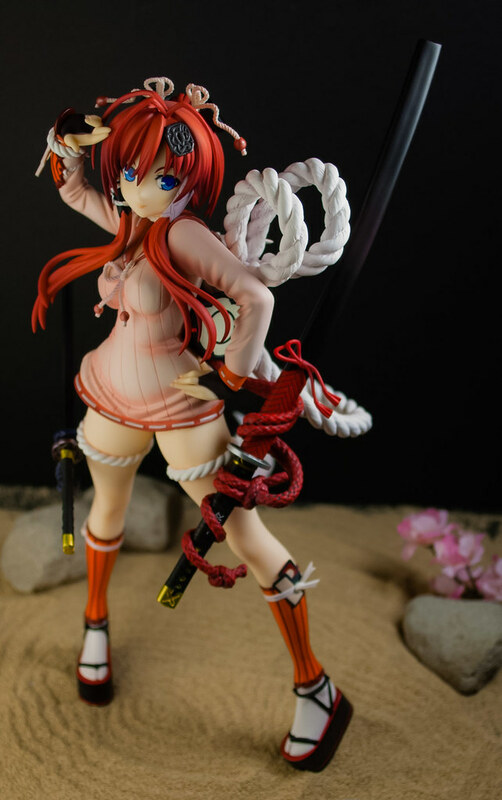 Out of all the figures that have come out, only this interpretation of Yagyu Jubei has really caught my eye. I mean sure some others like Naoe Kanetsugu really tickled my fancy but not enough to click on that order button. I don't know what it is about this figure, but I really, really like it. I mean, sure I’m really fond of the way it mixed traditional Japanese imagery with modern imagery in the clothes. That is something that I have always liked about the whole line of Hyakka Ryouran in general. 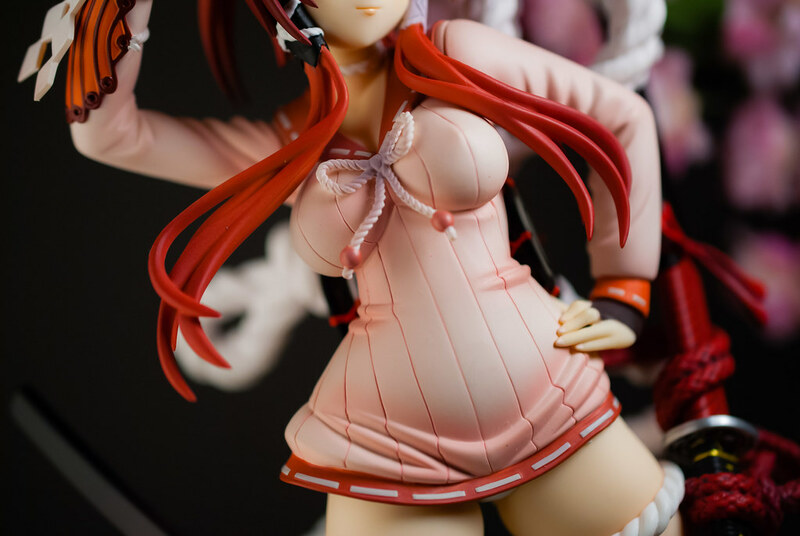 You look at Jubei and she is essential wearing what looks like the top part of a sailor school girl uniform, sans skirt for some dubious reason. 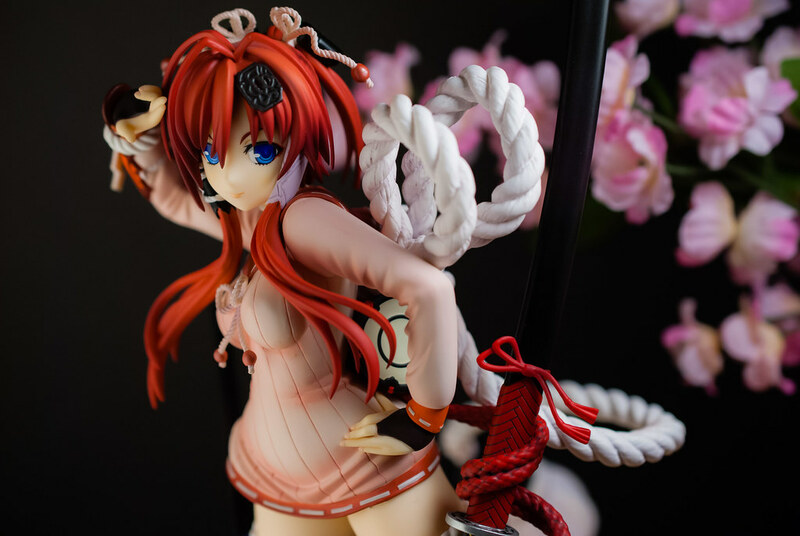 Her whole design is accentuated by Shimenawa, the rope that can be easily seen at Shinto shrines in Japan, adding that definite traditional flair and strong visual element with the large ribbon in her back. 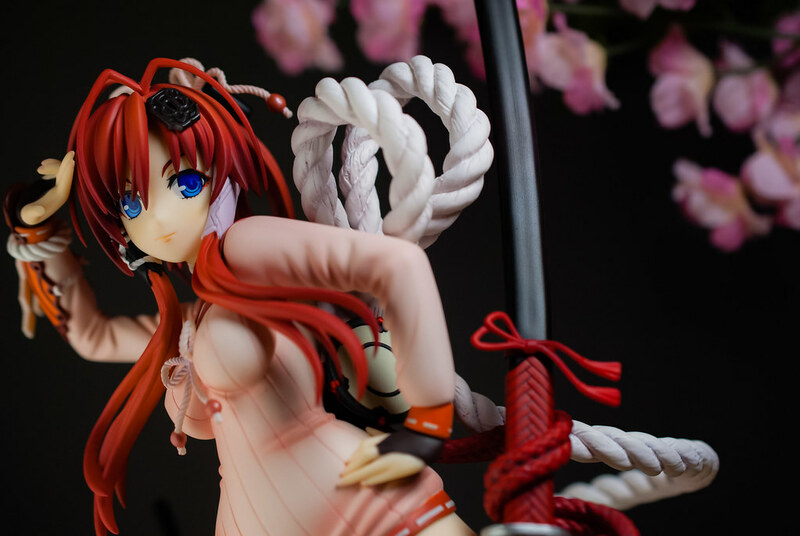 These ropes are believed to act as wards against evil spirits in Japan, seeing as Jubei had some dual personalities going on in the first couple of episodes I wonder if their presence in her design have any relevance to the plot or they were only added because they look cool. Alter did an excellent work with them, while they don't actually have the texture of a rope they sure look like they do which I suppose is all that matters. In addition to that, something that I hadn't noticed before after all this years is the drum in her back below the ribbon, I wonder what is up with that as well. If you look around you see other different elements like her hair ornament which to me seems reminiscent of a sword hilt or the hair ornaments in the back bun. Of course you can't have a samurai girl without swords which look quite nice, I do wonder though how having swords attached to your thighs works out, I suppose that is a strange decision in their placement. This placement though draws attention to something that I really like about this figure. Jubei is a bit meaty. She obviously has the bust, nothing to out of the ordinary there. It’s when you look down that things get a more interesting, just look at those nice hips and thighs. The way the ropes around them dig in gives them such a nice sense of volume! 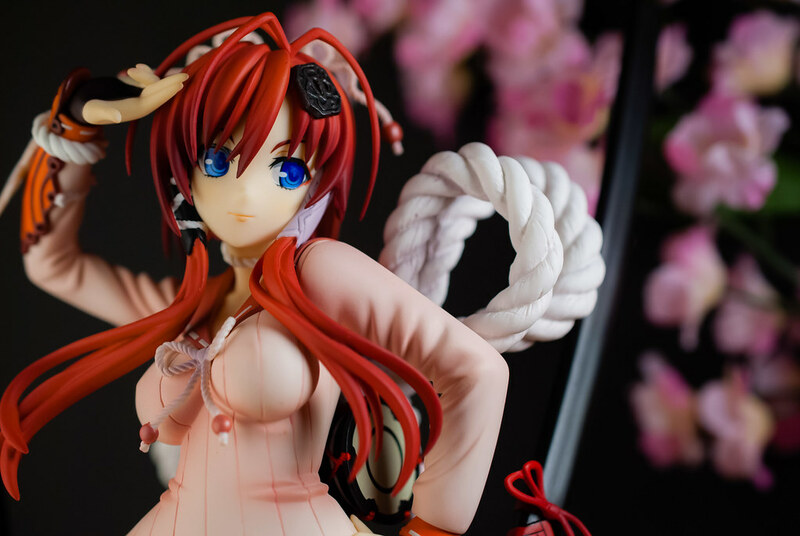 Jubei’s face is something that I love about this figure a lot, the nice bright blue eyes direct my gaze to them, the faint lip gloss is a nice alluring touch and the slight presence of the eye shadow in a color complementing her overall color scheme. 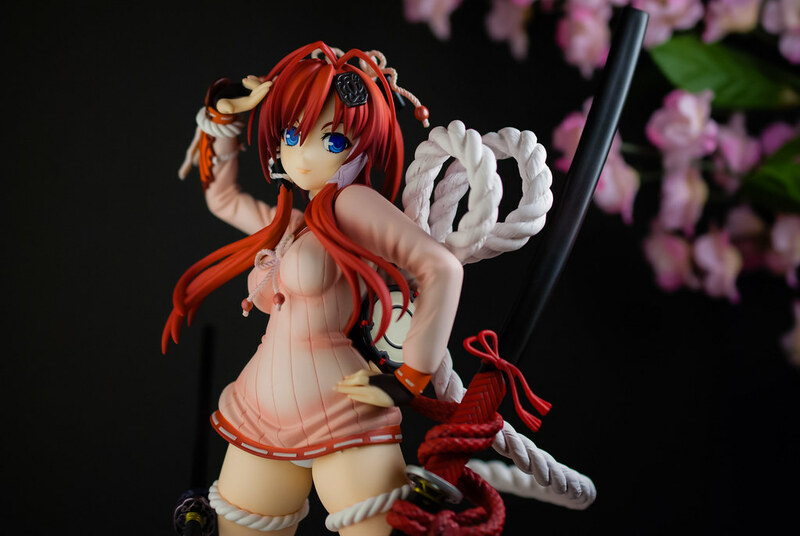 Something that I find amusing about the figure is her pose, it’s not very samurai like, not something I would think of when you say master swordsman. It actually reminds me a lot of the kind of poses idols would do at a concert or an event. Nice details, nice posing, nice build, nice painting.